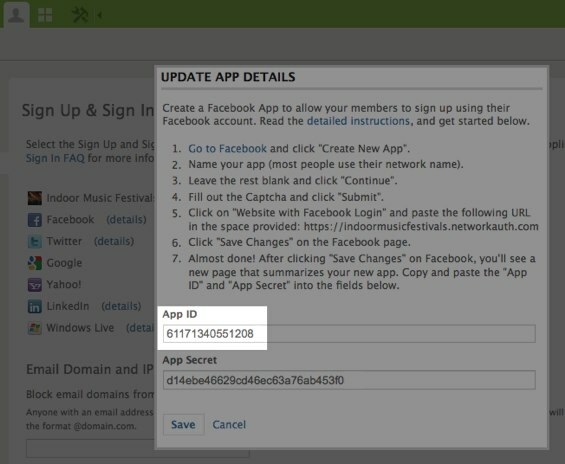 If you’ve created a Facebook Sign In app for your Ning Network but your members are unable to sign up or sign in, it may be that the app’s settings need to be adjusted, or that the same app is being used for both the Facebook Sign In and Facebook Sharing functions on the network. Facebook Sharing and Facebook Sign In functions are completely separate and each require their own app. Are Members on the Right Page? If any of these sound like what you or your members are encountering, have them make sure they’re clicking the Facebook button from the appropriate page. New members will need to be on the sign up page and click on the Facebook button there in order to successfully join with their Facebook credentials. Existing members will want to make sure they are on the sign in page when clicking on the Facebook button. Go to your network’s dashboard and click on the “Sign Up & Sign In” link from the Members panel (/main/admin/signUpSignIn). Click on “Details” next to Facebook. Then go to your Facebook Integration page, found in the Social Site Manager of the dashboard. Hover your mouse over where it says “Edit or delete your Facebook App”. Note the App ID that displays in the status bar at the bottom of the browser. Go to your Members panel and access the Sign Up & Sign In management page again. Click on the “Details” link next to Facebook. Clear out the content provided for the App ID and App Secret. Save your changes in the pop-up window. Save your changes on the Sign Up & Sign In management page itself. 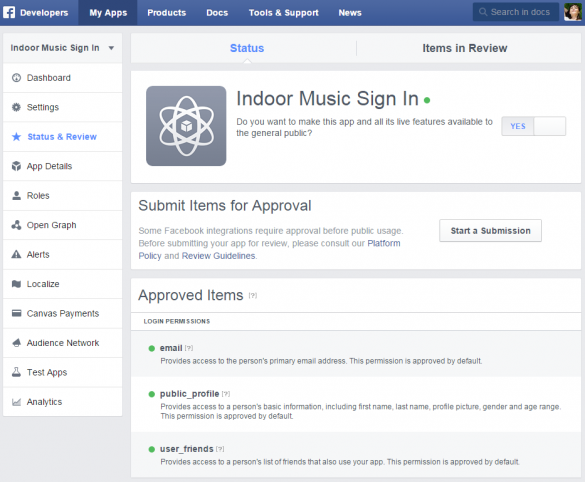 Then check one of the boxes next to Facebook and you’ll be prompted to create a new Facebook app. Follow the instructions you see in our Enable Social Sign In with Facebook article. Display Name: This is the name you see in the App Details window that pops up in your Sign up / Sign in management page. Contact Email: This field is auto-populated with your Facebook account’s email address. Everything else should be left blank on the page. If there are other fields filled out, clear them out and save your changes. You can also make sure Facebook isn’t requiring something different for your particular network’s Site URL by heading over to your network’s Sign In page (be sure to sign out of the network first) and right-clicking on the Facebook button. Copy the URL and paste this somewhere where you can view it easily. Make this change to your existing Facebook Sign In app and save your changes. 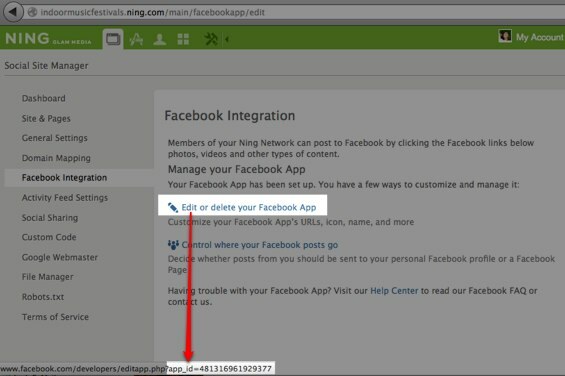 If tweaking your existing app doesn’t fix the issue, delete your app by following the steps #1-6 in the above “If the App IDs in both locations match” section of this article, then create a new Facebook Sign In app by following the steps in our Enable Social Sign In with Facebook article. 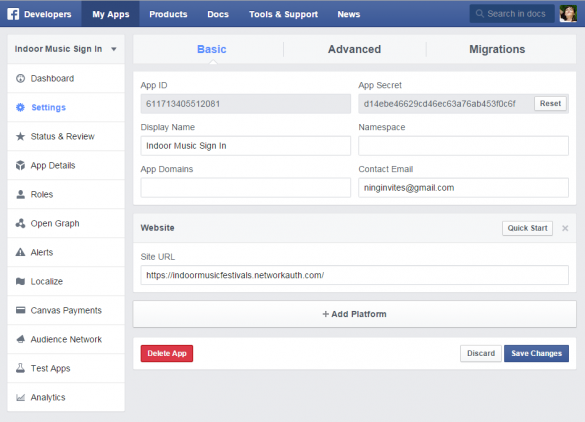 Deleting and creating a new Facebook Sign In app will cause existing members who are using their Facebook credentials to sign in to need to re-authorize the connection from your network to their Facebook accounts. After they re-authorize this connection, they will be able to sign in again as usual.